BEACHWOOD, OH, September 21, 2018 — Marquis Who's Who, the world's premier publisher of biographical profiles, is proud to honor Wulf H. Utian, MD, PhD, DSc, as a Top Doctor. An accomplished listee, Dr. Utian celebrates many years' experience in his professional network, and has been noted for achievements, leadership qualities, and the credentials and successes he has accrued in his field. As in all Marquis Who's Who biographical volumes, individuals profiled are selected on the basis of current reference value. Factors such as position, noteworthy accomplishments, visibility, and prominence in a field are all taken into account during the selection process. With more than 50 years of experience as a top doctor to his credit, Dr. Utian is a pioneer in the field of women's health, who is currently working as an independent consultant as well as an active research investigator for Rapid Medical Research. An expert in new drug development as well as issues regarding pharmaceuticals and investments, he assists pharmaceutical companies through the Food and Drug Administration's approval process for drugs that aim to better the health of aging women. Dr. Utian is among the world's most significant authorities on menopause and women's health, and he is recognized as the founder of research, teaching, and institutional organization of menopause and older women's health. Moreover, Dr. Utian has used his extensive career as a researcher, practitioner and teacher in medicine to better the careers of scores of practitioners and researchers, and his work has impacted the lives of millions of women worldwide. Dr. Utian is a native of South Africa, where he was educated and trained in obstetrics and gynecology, which was a narrow field during the time in which he was studying. Formerly, obstetrics focused on the birthing process and gynecologists were perceived to be more akin to pelvic doctors, but Dr. Utian would further his training in endocrinology, garnering crucial knowledge about the hormonal workings of the human body. Later specializing in reproductive endocrinology, Dr. Utian came to appreciate how a change in hormones caused by menopause impact all facets of women's health, especially regarding diseases and sensory issues. He has since dedicated his career to helping women reduce the impact of menopause through proper health management. Dr. Utian began his career at the University of Cape Town, recruited to their faculty at a very young age. While his responsibilities were initially focused on youth issues during the post-war baby boom, he became curious about the issues that would impact people later in age. In this post, he identified the early risk factors of diseases to prevent or reduce afflictions that hurt the quality and longevity of women's lives. Likewise, Dr. Utian took an interest in infertility issues, pioneering the in vitro fertilization process to the point where the procedure could be enacted successfully. He is also responsible for developing one of the world's first successful in vitro fertilization centers and performed the first surrogate in vitro fertilization procedure in 1984. Although he no longer focuses on this particular subject, Dr. Utian takes pride in the fact that numerous couples credit him with having the ability to have families. In 1962, Dr. Utian graduated from the University of the Witwatersrand, earning a Medicinae Baccalaureus, Baccalaureus Chirurgiae (MB, BCh.). He continued his academic efforts with a Doctor of Philosophy (PhD) degree from the University of Cape Town in 1970. In 2007 he earned the degree of Doctor of Science in Medicine (DSc) from the University of Cape Town, a coveted earned degree awarded to only 11 individuals in the past century for a life's work that has been considered to have made a major impact in the world of medicine. Dr. Utian has also been certified by the Educational Commission for Foreign Medical Graduates (ECFMG) in 1963, the International Society for Clinical Densitometry in 2001, and the North American Menopause Society in 2005. Dr. Utian is a certified diplomat of the American Board of Obstetrics and Gynecology (1979), and of the American Board of Obstetrics and Gynecology, Division of Reproductive Endocrinology (1980). An authority on the metabolic and psychosocial aspects of hormones and menopause, Dr. Utian found success with his written works, having penned more than 200 scientific papers in relation to women's health. The honorary founding editor of Menopause since 1993, he was the editor of Maturitas from 1980 to 1993, Premenstrual Syndrome in 1981, and Menopause Management from 1987 to 2009. Furthermore, Dr. Utian has authored books such as “Your Middle Years” in 1980, “Menopause in Modern Perspective” in 1980, “The Menopause and Hormonal Replacement Therapy: Facts and Controversies” in 1991, “Managing Your Menopause” in 1992, “The Utian Strategy: Is This My Problem or is This Your Problem?” in 2010, “Finding the Unexpected” in 2014, and multiple editions of “Change Your Menopause! : Why One Size Does Not Fit All” in 2011 and 2016. A dedicated advocate for women's health who has appeared in myriad media interviews, Dr. Utian has notably held multiple administrative positions with Cleveland Menopause Clinic, Director of Obstetrics and Gynecology at the University Hospitals of Cleveland, Professor and Chairman of Reproductive Biology at Case Western Reserve University, Director of University Ob-Gyn Specialties, Inc., and Director of OB/GYN at the Mount Sinai Medical Center between 1976 and 2000. He has been recognized by Case Western Reserve University as Professor Emeritus since 2000, a full professor of reproductive biology from 1989 to 1999, and as an associate professor from 1976 to 1989. Prior to these appointments, Dr. Utian was a consultant in obstetrics and gynecology for the Groote Schuur Hospital in Cape Town, South Africa, from 1967 to 1976. Beyond these responsibilities, Dr. Utian consulted for such esteemed institutions as the Cleveland Clinic Foundation since 2000 and the International Health Foundation from 1976 to 1992. 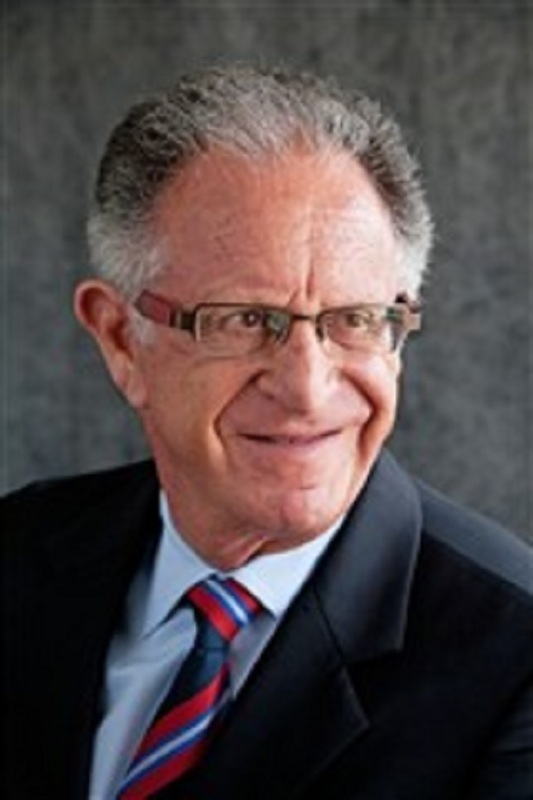 He was a co-founder of the South African Inherited Disorders Association in 1971, is one of the three Founders of the International Menopause Society in 1976, and the Founder of the North American Menopause Society in 1989, where he continues his role as Executive Director Emeritus, a Board Member, and the Honorary Founding President. Having assisted in the development of more than 25 national menopause societies around the globe between 1976 and 1988, Dr. Utian was the vice president of the International College of Surgeons from 1983 to 1989, and the Founder of the Council of Affiliated Menopause Societies (CAMS) in 1994. Among numerous other roles, he was appointed to the board of directors of the Cleveland International Piano Competition since 2013, the president of the North American Menopause Society Foundation from 2007 to 2016, a visiting professor at the Washington University in Saint Louis in 2009, and on the board of directors for the Helen Moss Breast Cancer Foundation from 1996 to 2018. He has been recognized as a Fellow of the American College of Obstetrics and Gynecology (FACOG), the Royal College of Obstetrics and Gynecology (FRCOG), and the International College of Surgeons (FICS). Likewise, Dr. Utian was selected for inclusion in multiple editions of Who's Who in America, Who's Who in Medicine and Healthcare, Who's Who in Science and Engineering, Who's Who in the Midwest, and Who's Who in the World. In light of his exceptional undertakings, Dr. Utian was presented with numerous awards including recognition for lifetime achievement in menopausal medicine at the 15th World Menopause Congress of the International Menopause Society in 2017, a proclamation from Ohio Lieutenant Governor Lee Fisher in 2009, and a special recognition from Ohio House of Representatives Speaker Armond Budish in 2009. An honorary lifetime member of the South African Menopause Society in 2009, he accepted the Menopause Trail Blazer Award from the SIGMA Canadian Menopause Society in 2016, and the Outstanding Service Award from the Cleveland Society of Obstetricians and Gynecologists in 2009 and 2011. Inducted into the Speaking of Women's Health Hall of Fame by the Cleveland Clinic Foundation in 2013, he was cited among the Top Ten Researchers in Women's Health by Ladies Home Journal in 1999 and 2007. Dr. Utian was eponymously honored with Wulf Utian Day by Mayor Merle Gordon of the city of Beachwood, Ohio, in 2009, as well as the Annual Wulf Utian IMS/CAMS Award for Achievement in Furthering Women's Health. Emboldening the next generation of medical professionals through his valued knowledge and tireless encouragement, Dr. Utian aims to continue advancing — helping to incorporate social media to provide accurate and reliable information to women in need. Always seeking ways to better the future, he intends to continue with limited lectures among the many to which he has been invited around the world and contribute to his success as a writer and researcher. Dr. Utian has always regarded himself as being more of a clockmaker than a timekeeper, and throughout his life has always tried to guess, what is next? Having cemented his legacy as a leading figure in menopause treatment and care, Dr. Utian looks forward to seeing the further achievements of his children. His son, Brett, is currently directing a multimillion Euro grant for the University of Cape Town into programs reducing suffering and the impact of HIV/AIDS and tuberculosis. His daughter, Lara, also returned to South Africa, where she has established both a public relations marketing company and the LADIMA Foundation, which provides grants to African women to produce and direct motion pictures. Dr. Utian is exceptionally proud of his children and lauds the fact that they have found their own careers in public service. He recognizes that he can only have achieved what he has because of the constant support and love of Moira, his wife of over 50 years, and a school teacher by profession.